The inside of SMOHKED will include 24 seats and 13 bar stools for patrons of the new barbecue restaurant. In the coming weeks, local business owner David DiStefano will open a new barbecue restaurant in downtown Delaware next to his 12 West restaurant. SMOHKED, located at 14 W. William St., will specialize in smoked meats and feature a large drink selection. 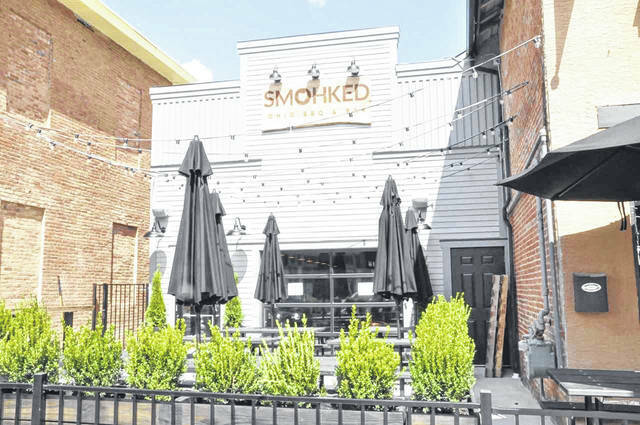 Residents of Delaware will soon have another dining option available to them in the downtown area as 12 West owner David DiStefano undergoes the final preparations for the opening of SMOHKED, a barbecue joint that has been constructed next to 12 West at 14 W. William St. The lot, formerly West End Grill, had been vacant for two years before DiStefano decided to expand. 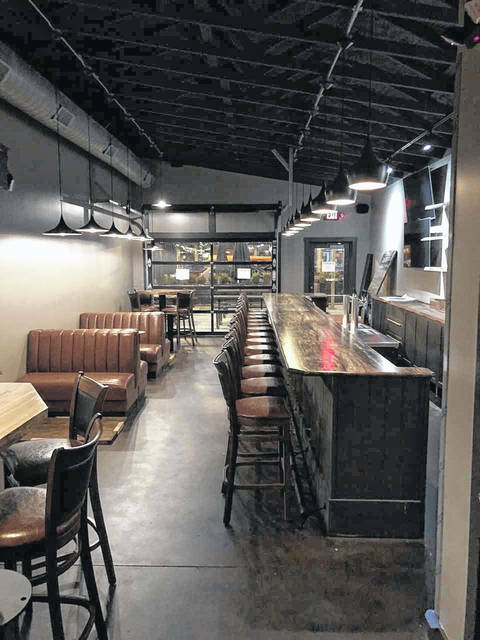 SMOHKED will specialize in smoked meats and various types of barbecue, as well as a vast drink selection that will include an expanded wine list from what is offered at 12 West, as well as focus on barrel-aged spirits such as bourbons. The capacity at SMOHKED will vary throughout the year. There will be 37 seats available inside, including 24 seats and 13 bar stools, and 32 seats on the patio located in front of the building. Both restaurants will be connected internally, allowing management to operate both establishments. However, the functioning staffs and kitchens will be separate for each restaurant. Operations Manager Ryan Reidel said the footprint in which 12 West was built on is small, creating an element of intimacy, as well as being conducive for a greatly managed restaurant. Reidel said with SMOHKED being similar in size, he expects those same elements to transfer to the new restaurant. Wood said the decision to pursue a barbecue restaurant stemmed from the lack of sit-down barbecue options in the area, and as the word began to spread through the 12 West customer base about the future barbecue spot, the buzz that was generated only reinforced their decision. Menu items will feature as much local product as possible, according to Wood, who said they will do some sourcing from farmers around Delaware County. Reidel said the drink menu will also include an Ohio flavor, as they will work with breweries around the state. Reidel said the entire bar program will be “elevated,” referring to the wide selection rather than expensive prices. Reidel said applications are still being taken to fill out the staff at SMOHKED and can be filled out at 12 West. He added they are looking for all types of people, regardless of experience in the industry.